About: DBeaver is a multi-platform database tool (for developers and database administrators) that supports all popular databases. Java sources. Doxygen doesn't incorporate all member files but just a definable subset (basically the main project source code files that are written in a supported language). So to search and browse all member files you may visit the Fossies dbeaver-6.0.2.tar.gz contents page and use the Fossies standard member browsing features (also with source code highlighting and additionally with optional code folding). 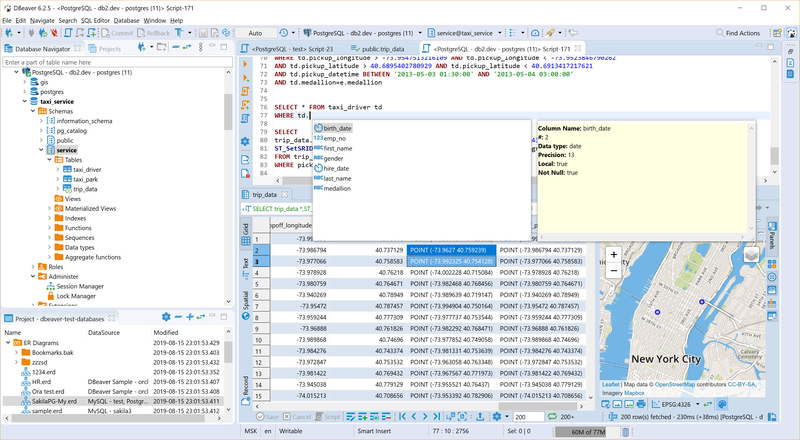 Free multi-platform database tool for developers, SQL programmers, database administrators and analysts. Supports any database which has JDBC driver (which basically means - ANY database). 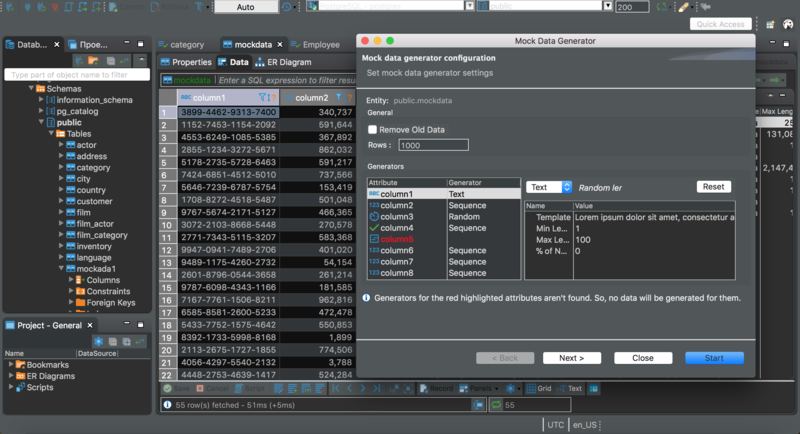 EE version also supports non-JDBC datasources (WMI, MongoDB, Cassandra, Redis). 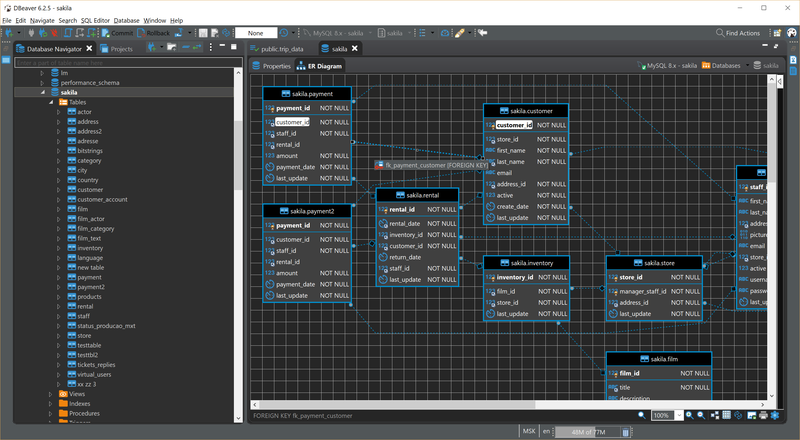 Has a lot of features including metadata editor, SQL editor, rich data editor, ERD, data export/import/migration, SQL execution plans, etc. 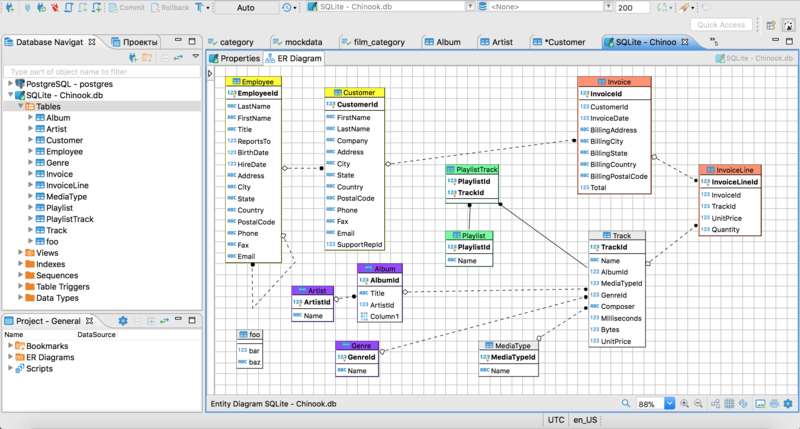 Uses plugins architecture and provides additional functionality for the following databases: MySQL/MariaDB, PostgreSQL, Greenplum, Oracle, DB2 LUW, Exasol, SQL Server, Sybase/SAP ASE, SQLite, Firebird, H2, HSQLDB, Derby, Teradata, Vertica, Netezza, Informix, etc. You can download prebuilt binaries from official web site or directly from GitHub releases. DBeaver requires Java (JRE) 1.8+ to run. Windows and MacOS X installers include JRE so just use them and don't think about internals. On Linux you may need to install Java manually (usually by running sudo apt-get install default-jre or something similar). If you don't use installer (on Windows or Mac OS X) you may need to download Java (JDK) from OpenJDK web site.